Versatile, athletic, attractive and affordable, the Mazda CX-5 is a premier entry in the compact crossover segment that promises to outperform top competitors. Explore the updates, changes and upgrades to the 2019 Mazda CX-5 design in this detailed 2019 Mazda CX-5 vs 2019 Toyota RAV4 comparison that compares the Mazda-brand crossover to the redesigned Toyota RAV4. An expanded model lineup is a highlight of the 2019 Mazda CX-5 platform with the addition of the luxury-infused Signature trim level. With the addition of the Mazda CX-5 Signature, the Mazda crossover is available in five grades – Sport, Touring, Grand Touring, Grand Touring Reserve and Signature. 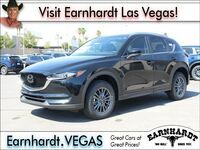 Top-of-the-line Mazda CX-5 Signature entries feature Caturra Brown Nappa leather upholstery, elegant layered wood trim, ambient interior lighting, a 360° View Monitor camera system and much more. 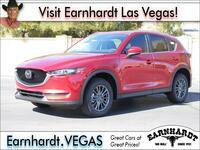 What Are the Differences Between the Mazda CX-5 and Toyota RAV4? Are you and your family interested in an affordable compact crossover that promises incredible value and a fun drive? Look no further than the Mazda CX-5 in this 2019 Mazda CX-5 vs 2019 Toyota RAV4 comparison. Entry-level Mazda CX-5 Sport trims will start at just $24,350 and come complete with a 7-inch MAZDA CONNECT™ touchscreen infotainment system, Apple CarPlay, Android Auto and an elegant interior that families are sure to love. Toyota RAV4 entries feature a more expensive price tag, a difficult-to-use Toyota Entune™ infotainment system and are not available with Android Auto. An athletic drive is a hallmark of the Mazda CX-5 design and the updated 2019 Mazda CX-5 will upgrade your day-to-day commute with the addition of a 250-horsepower 2.5-liter SKYACTIV®-G turbocharged four-cylinder engine that is paired with a six-speed SKYACTIV®-Drive automatic transmission. An innovative i-ACTIV AWD® system and the turbocharged SKYACTIV®-G 2.5T engine are standard fixtures for Grand Touring Reserve and Signature trim levels, which still earn 22 mpg in the city and 27 mpg on the highway. 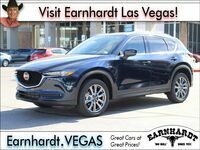 Mazda CX-5 Sport, Touring and Grand Touring trim levels provide families with a memorable performance via the 187-horsepower 2.5-liter SKYACTIV®-G four-cylinder engine that is married to a six-speed SKYACTIV®-Drive automatic transmission. With this combination under the hood, front-wheel drive Mazda CX-5 variants will achieve 25 mpg in the city and 31 mpg on the highway. G-Vectoring Control Plus is a fixture that will sharpen performance at every turn and is complemented by a wealth of standard safety features that include Blind Spot Monitoring with Rear Cross Traffic Alert, Smart City Brake Support and Dynamic Stability Control. The Toyota RAV4 counters with a 203-horsepower 2.5-liter Dynamic Force four-cylinder engine that is paired with a Direct Shift 8-speed automatic transmission. 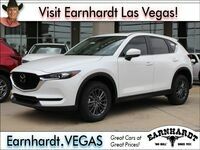 Visit Earnhardt Mazda Las Vegas today to experience the 2019 Mazda CX-5 firsthand!